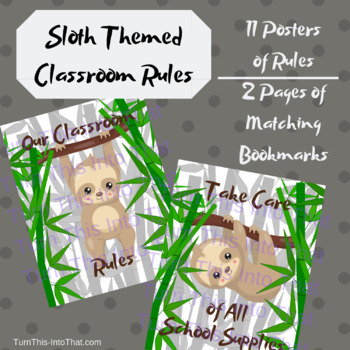 These cute Sloth themed classroom rules posters are ideal for reinforcing positive behaviors in the classroom and establishing a positive classroom environment - all with the help of adorable sloths! 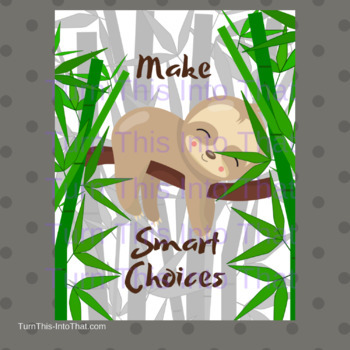 I've also included 2 pages of matching bookmarks (6 different bookmarks)- some that have the rules listed with sloth images and some that are simply sloth images. Each bookmark measures approx. 6 1/2" x 2 1/2". Thank you to PrettyGrafik for sloth images.